Claressa Shields stoppage win over Szilvia Szabados. David Lemieux’s vicious KO over Curtis Stevens. Juan Francisco Estrada’s stoppage win over Anuar Salas and Luis Nery’s TKO win over Jesus Martinez. Richard Schaefer, Kalle Saurland in association with the World Boxing Super Series are launching $50 million boxing tournament. 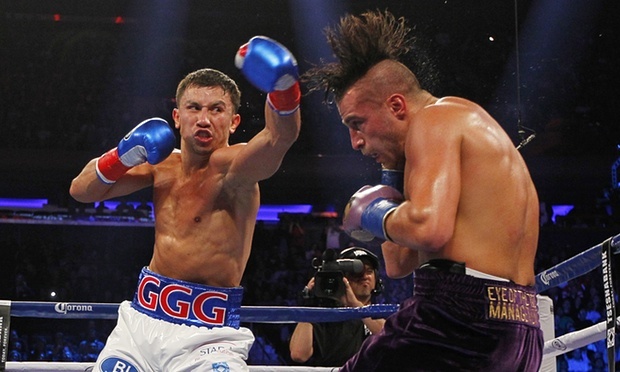 – We discuss the #GolovkinLemieux card including GGG’s dominant stoppage over David Lemiuex, Chocolatito’s impressive win over Brian Viloria and Luis “King Kong” Ortiz. – Why folks should start paying attention to Donnie Nietes? – Bob Arum’s lawsuit against Al Haymon has been dismissed. – Andre Wards signs a multi-fight deal with HBO. – Antonio Tarver tests positive for P.E.D’s… AGAIN!! !